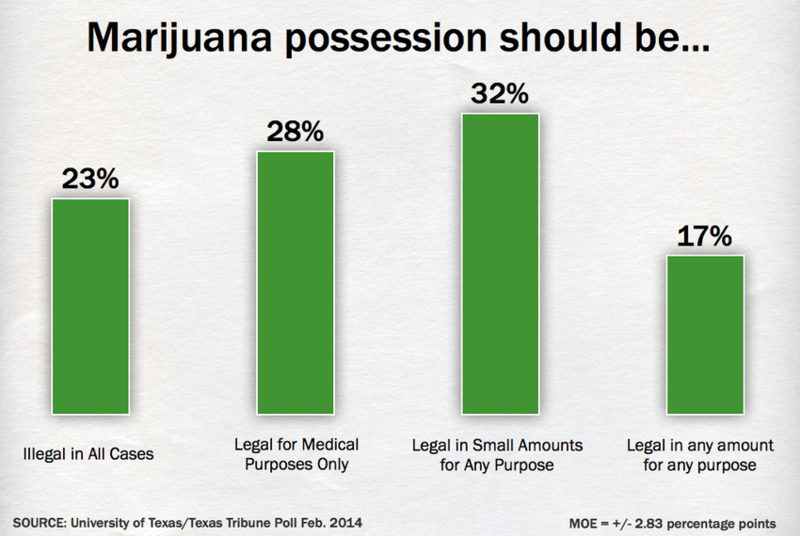 Nearly half of registered Texas voters support legalization of marijuana for any use in some quantities, and nearly three in 10 would legalize it for medicinal use only, according to the University of Texas/Texas Tribune Poll. 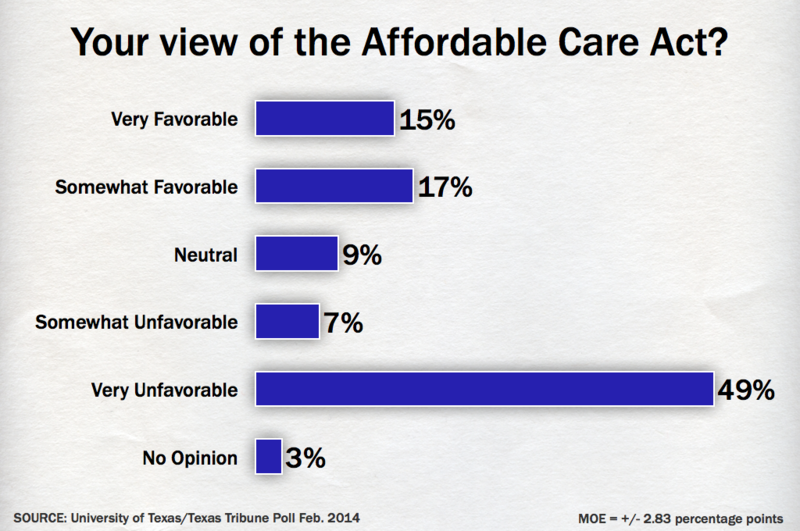 This is one of several stories on the latest University of Texas/Texas Tribune Poll. Monday: The state of the political races. Yesterday: Views on a range of education proposals. 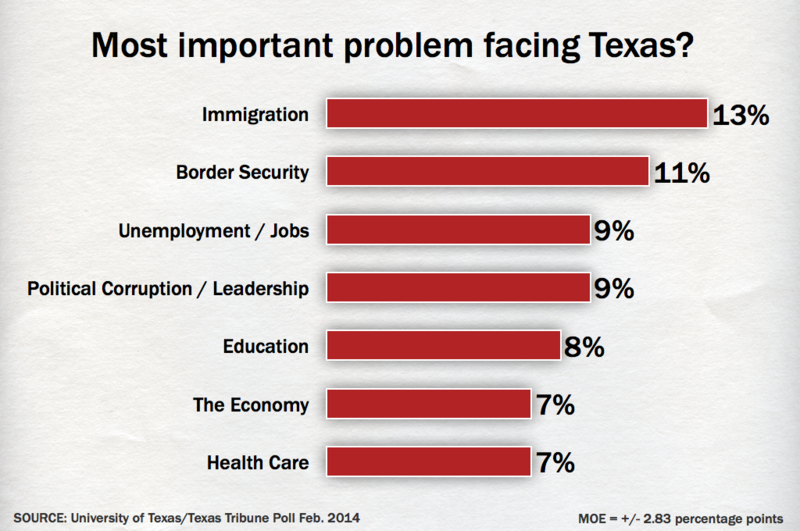 Also today: Immigration, voter ID and other issues. 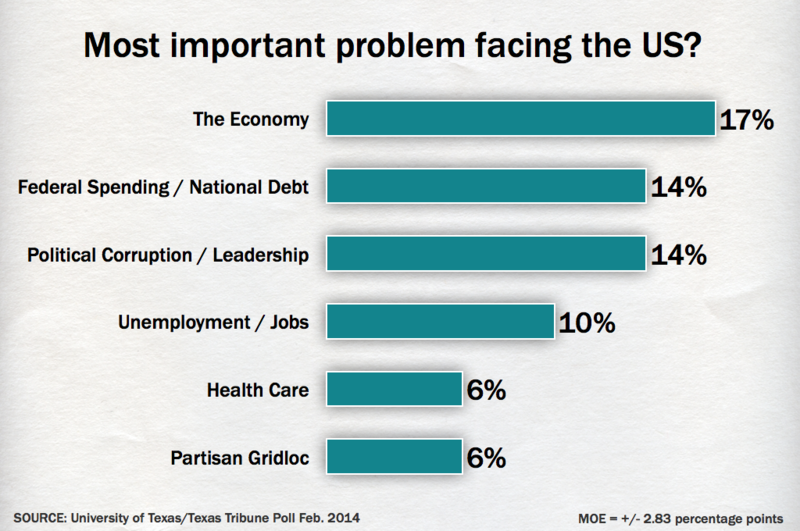 Tomorrow: Texans’ views on the state of the state.